The look on B’s face made drawing it worthwhile. Also, don’t worry – I am neither quitting the internet nor the comic. 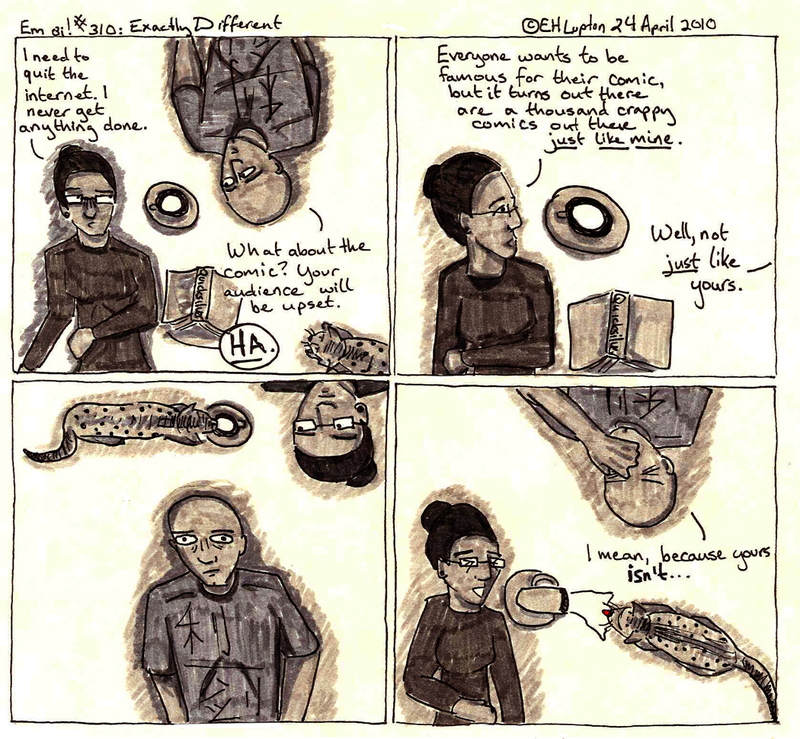 Self-perception in authors –Comic books, strips, etc. Self-doubt — Comic books, strips, etc.